A report has highlighted "serious shortcomings" in the way Anglesey council deals with the needs of vulnerable children. It said assessments were delayed, care management was poor, while staff morale was "very low". Anglesey Council said it had already started bring in changes suggested by the Care and Social Services Inspectorate Wales (CSSIW). The Welsh Government said immediate action must be taken. Commissioners appointed by the government have been running the council since March. The report, which came out in May, is the second report into the council's care regime in nine months. It follows an inspection in February and March. The CSSIW report said it looked at assessment and care management of children in need in Anglesey, not safeguarding them. "However, the inspection provided evidence that indicates that there are serious failings regarding the safeguarding of children and consequently merits further inspection work. The report went on to say that the inspectors found that the assessment and care management of children in Anglesey was "poor". "There were delays in assessing complex and serious cases. Assessments were not completed in timely manner." The report added: "Also the inspection found poor communication with staff and partner agencies, the lack of a performance management culture and the absence of a quality assurance system. "The council has failed to achieve the necessary improvement over many years and it is uncertain if it will be able to do so in the future." Among other findings - including "very low" staff morale - the report said: "The procedures fail to communicate what is expected of a social worker in undertaking the core functions of assessment and care management. The report also highlights the council does some things well, including working well with some partner agencies in planning and providing multi agency support for families. A Welsh Government spokesman said: "We have already taken swift and decisive action to take control of the running of Anglesey Council following the serious concerns outlined in the auditor general's re-inspection report. "In March, the Local Government Minister, Carl Sargeant, suspended the authority's executive and appointed commissioners to run the council. "We have always said that the core problems of political instability and failure to focus on what really matters would harm the delivery of effective front line services on the island. The findings of the CSSIW report is a clear demonstration that this is indeed the case, and further justifies the action we have already taken. "The Deputy Minister for Children and Social Services, Gwenda Thomas, has already made clear to council that she expects immediate and effective action to be taken to address the findings and recommendations in CSSIW's report. We are already working closely with the commissioners to ensure this happens." 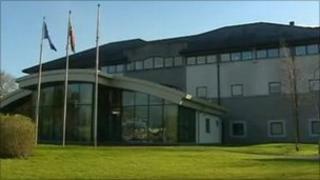 Anglesey council said it took "fully on board" the report's findings and had already implemented changes. Director of housing and social Services T Gwyn Jones said these included ensuring greater capacity within the service, monitoring performance improvements and improving quality assurance systems. "I'm pleased that our performance indicators are already showing an improvement and confident that with the continued commitment of our staff we can achieve a good level of service for children and young people in need on Anglesey," he said.